In the last months I have received quite often the request to add a new feature to my WebPageViewer2 extension (you could even say it’s a bugfix): The extension did reload the web page on every QlikView refresh event (e.g. making any selections), even if the Url of the web page did not change. 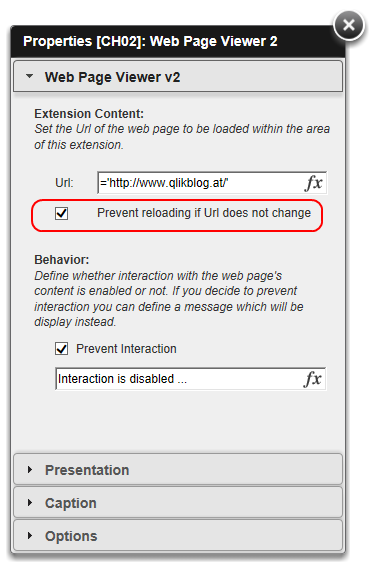 WebPageViewer2: New Property "Prevent Reloading if Url does not change"
and tagged Extensions, QlikView 11, QlikView 11.2. Bookmark the permalink. Both comments and trackbacks are currently closed.